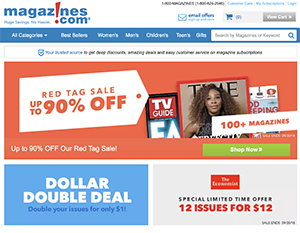 If you want to write better sales copy, then pay very close attention to what I’m about to share with you about magazines.com, a research website you probably never thought to use. Basically, this website gives you a leg up by letting you scan the covers of magazines for bullet and headline ideas. Everyone should check out this website because magazines have always been a great source of swipe file material, especially for headlines and bullets. Every sales copy trainer worth their salt has always talked about using magazines like People and National Enquirer as inspiration for headlines and bullets. The problem is, to look at magazines, you had to go to the grocery store or bookstore to take a look. With Magazines.com you can simply look at the latest magazine covers by clicking on them in your browser. While looking at the site right now I saw a headline on the cover of The Economist that said “Latin America’s Latest Menace.” That made me immediately think of an article title “Facebook’s Latest Menace For Advertisers” where I could talk about changes to the social media giant’s advertising policy changes. I saw another headline “Revitalize A Sluggish Thyroid – Works Like Gastric Bypass” and thought of “Revitalize A Sluggish Funnel – Works Like Magic!” or “Revitalize Sluggish Book Sales – 10 Ways To Sell More Books That Work Like Magic!” Those headlines would work for an article, video, email teaser subject line or sales page. Check out Magazines.com and start scanning. KEY: don’t read, see what catches your eye. 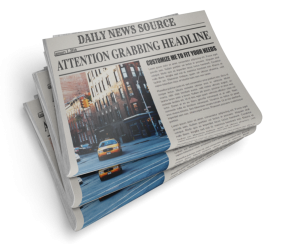 Grab at least 10 headlines that catch your eye and type them up (or grab them with a screen capture tool). Adapt those headlines to something you’re working on right now (content, sales copy, social media, blog posts, etc.). If you’re ever stuck for inspiration for headline or bullet ideas, head on over and take a virtual tour through the magazine isle without ever leaving your home or office. You’ll be glad to know that this incredible website is free to use. You can try this research website for yourself at magazines.com. And, if you’d like to create amazing sales copy, complete sales letters, video sales letters, email teasers and webinars to go with your new headlines and bullets, check out the Web’s #1 sales copywriting automation tool, Funnel Scripts at https://FunnelScripts.com If you want to sell more (and who doesn’t), you need Funnel Scripts.